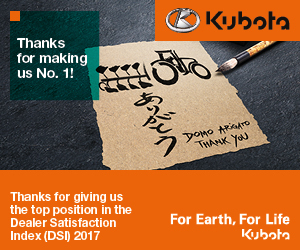 As we enter into the Environment Month, I would like to say a few words to all Kubota employees. In our current term management policy, we declare that our top priority is to endeavor to achieve sustainable development goals (SDGs). 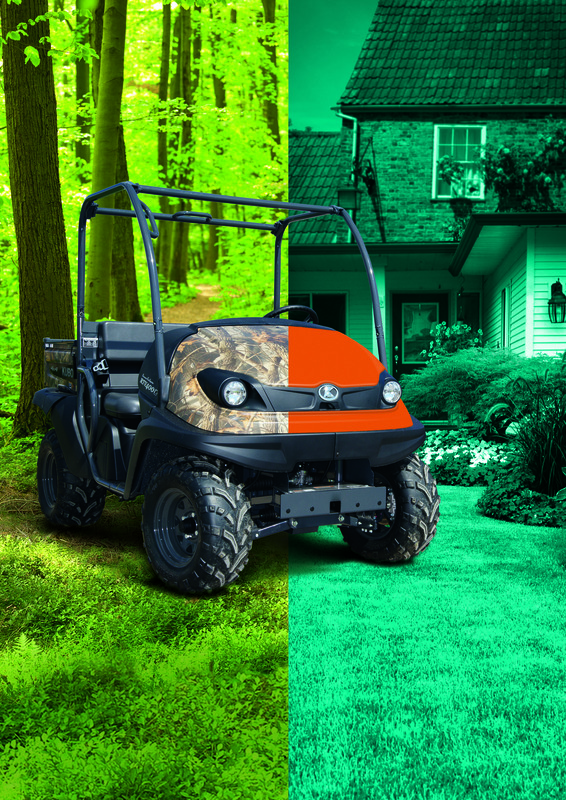 With the objective of realizing our mission statement , and management philosophy of “For Earth, For Life,” the Kubota Group also strives for the achievement of continued, compatible development to aid our society. 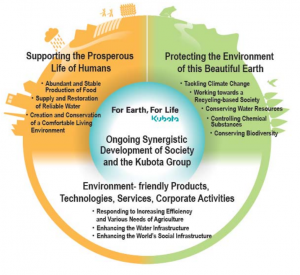 To this end, as shown in the figure on the right, the Kubota Group focuses on both business growth and contributions to environmental conservation by providing environmentally benign products, technologies, services and business activities.Our global environmental conservation efforts, such as, those tackling climate change, working towards a recycling-based society, conserving water resources, controlling chemical substances and conserving biodiversity, are closely related to the SDGs. Therefore, the Kubota Group intends to passionately pursue these environmental conservation efforts to help attain the SDGs. 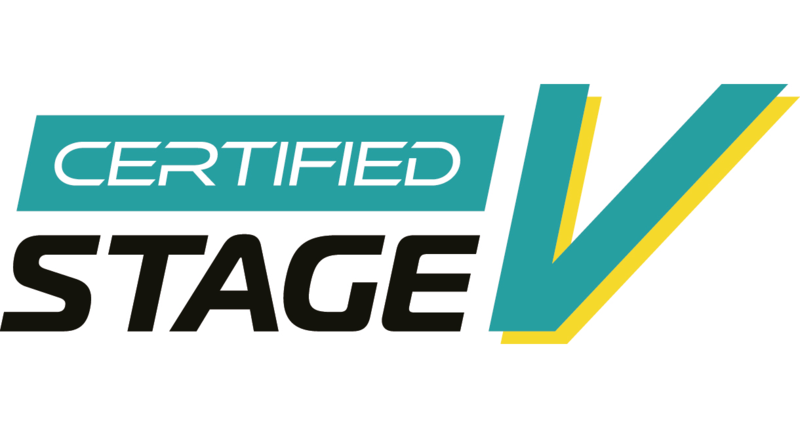 Every year, June 5th is World Environment Day established by the United Nations. 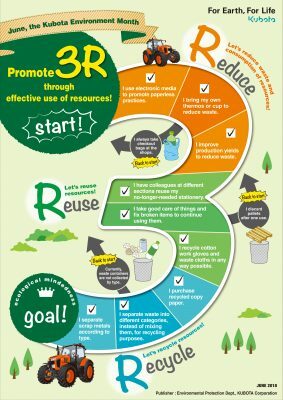 To enhance global awareness of the importance of environmental conservation and to promote more environment protection activities, a wide variety of events are held on that day throughout the world.